News via How Do today of an interesting project being developed at the University of Salford, UK. 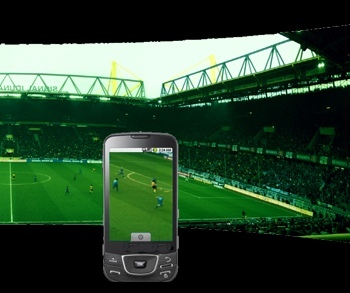 FascinatE aims to transform live TV events by making them interactive in a whole new way. The service would require numerous cameras to cover an event, creating a moving panorama between them that viewers could move around at will. 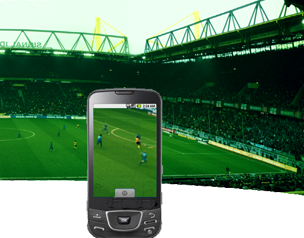 Sports events and concerts are two types of broadcasts that could benefit from the technology. “Jim has returned home from his business trip to Barcelona, and decides to watch the UEFA match Ajax – Barcelona on his 60-inch LCD set. He selects the FascinateURtv service and the current match. The match has already started but it is still 0-0. Jim points his remote at the screen, ‘grabs’ a player with his remote and drags him to the top of the screen. In other words, this looks like it could merge live TV with the kind of control usually associated with videogames. A mobile version of the service is also being developed. We’ll be following this one with interest. With FascinatE, the newly confirmed Project Canvas as well as well as many other developments in social TV apps underway, the future of television is most definitely interactive. Read next: Look! I got the new iPhone!